The Great Outdoors #107 "V10 Plus"
Pros: cheapish model, carpeted interior, detailed digital dash, functional struts for engine glass, convincing design. Cons: paint is just ok. Plastic used on front of car is cheap. 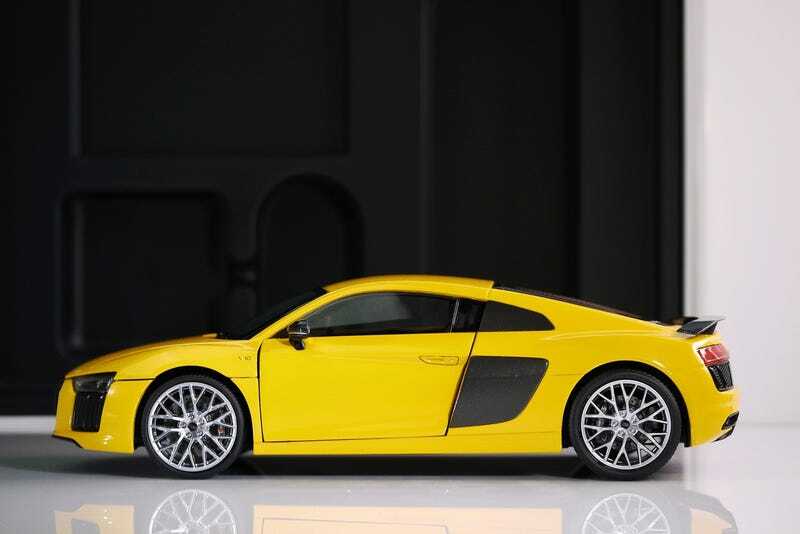 This is a must have car if you like the r8 but don’t expect perfection.